If you're in need of a Marchman Act Attorney in Fort Lauderdale you can depend on, call Robert Gluck at the Law Offices of Robert E. Gluck, P.A. The Marchman Act can assist people in making sure their loved ones get the help they need when they cannot or will not seek it on their own. It will also protect their rights and ensure they are treated fairly during the legal process. 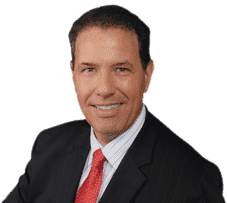 Robert Gluck is a Marchman Act Attorney in Fort Lauderdale who has been practicing law since 1989. He can provide his clients with the professional guidance and legal representation they need during their case. He will gather all of the necessary details so he can build a strong case for you and make sure you receive the positive outcome you need. When you hire Robert Gluck as your Marchman Act Attorney in Fort Lauderdale, he will go through the entire process with you from start to finish so you understand the steps he will need to take. He will be sure to update you on the progress of your case and answer any questions you have along the way. He will work hard for you so you and your family can heal. Whether your loved one is addicted to alcohol or drugs, you will be able to move forward with a case with your Marchman Act Attorney in Fort Lauderdale. He will use his knowledge and resources to ensure your spouse, child, or anyone else in your life receives the treatment they need for their addiction.